Thanks to its adjustable stride length, the cardiostrong elliptical cross trainer EX70 is perfectly suitable when several persons want to work out with the machine or when different running types are simulated. 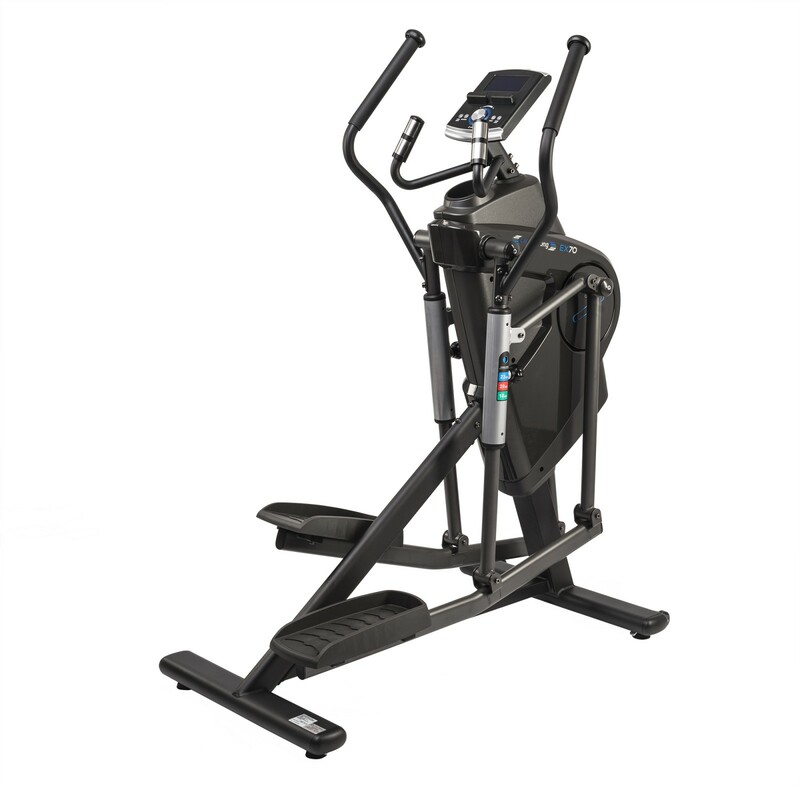 The construction of the cardiostrong elliptical cross trainer EX70 is so sturdy that it takes regular intensive training sessions and that it is suitable for fitness rooms in hotels or for personal coaches, for instance. 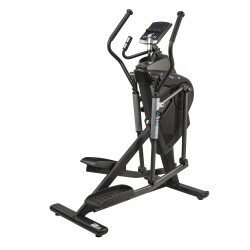 Elliptical cross trainers with an adjustable stride legnth offer two great advantages. When several persons want to work out with the elliptical cross trainer, each user can adjust the respective stride length which is most comfortable. Most persons prefer a longer stride length. That's why the EX70 is equipped with a very large stride length of 46 to 58.4 cm. The second advantage: the adjustable stride length makes it possible to simulate different running styles and hence to train different muscles as well. With a shorter stride length, you rather simulated jogging; with a longer stride length, you can almost sprint. The easy-to-use display of the elliptical cross trainer offers a total of 19 training programmes,12 of them pre-programmed workouts - but also the possibility to create individual programmes. Very interesting: You can run forwards or backwards, that means that the pedals can be moved in both directions. Hence the muscular focus changes while exercising - it means more diversion trhoughout the workout, when you just change the direction of movement for a few minutes. Of course, the training with the EX70 might be exhausting sometimes - and it's meant to be. That's the only way to obtain results. 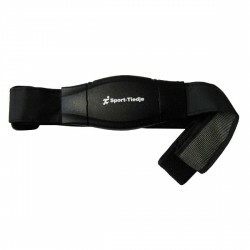 However, it does not meant that the training has to be uncomfortable. It's quite the contrary: The cardiostrong elliptical cross trainer EX70 is equipped with many details which make the training very comfortable. 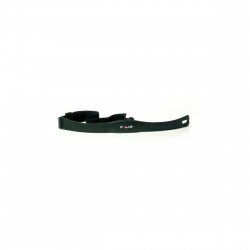 It starts with getting on: it offers a quite low entry height of just 17 cm. Another feature for a high training comfort is the low stride width of just 7 cm. The cardiostrong elliptical cross trainer EX70 is of a very good workmanship and is equipped witih excellent components. For instance, double ball bearings are built-in, which provide a very smooth movement. The power of the pedals is transmitted to the flywheel by a two-level drive system. It ensures a higher (and better) transmission ratio. The resistance is generated with a magnet on the flywheel. It's silent and maintenance-free. The frame is of a sturdy design. Hence even intensive workouts, for instance a HIIT training, can be easily done. The machine is very sturdy so that it cannot be only used at home but also for semi-professional purpose in hotels, companies or of personal coaches. 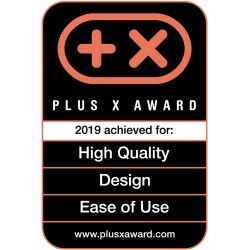 cardiostrong elliptical cross trainer EX70 add to comparison list.